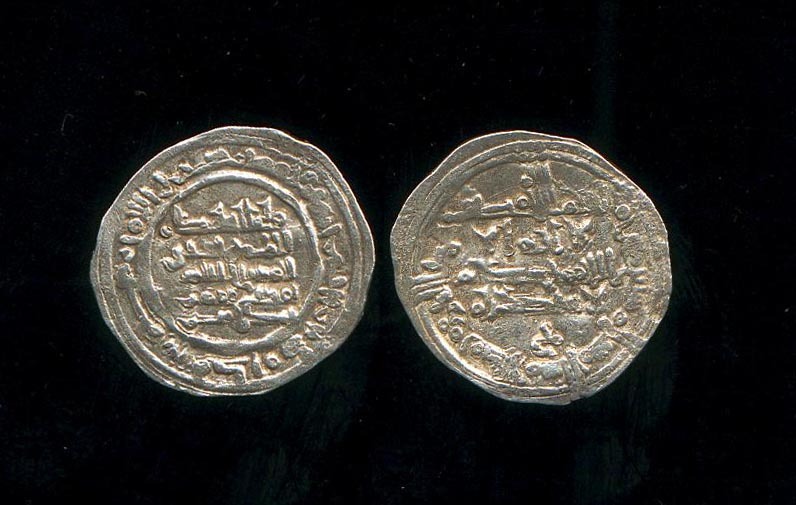 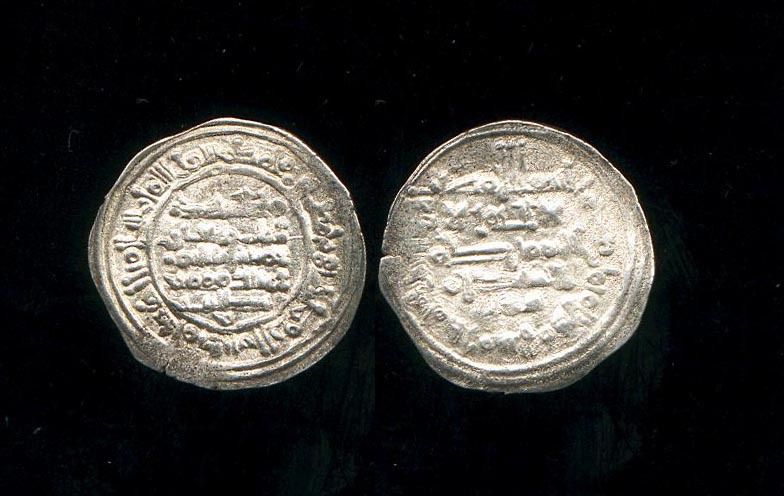 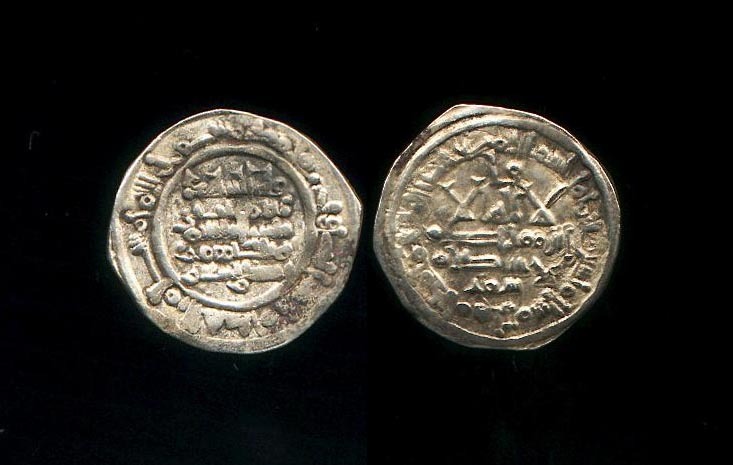 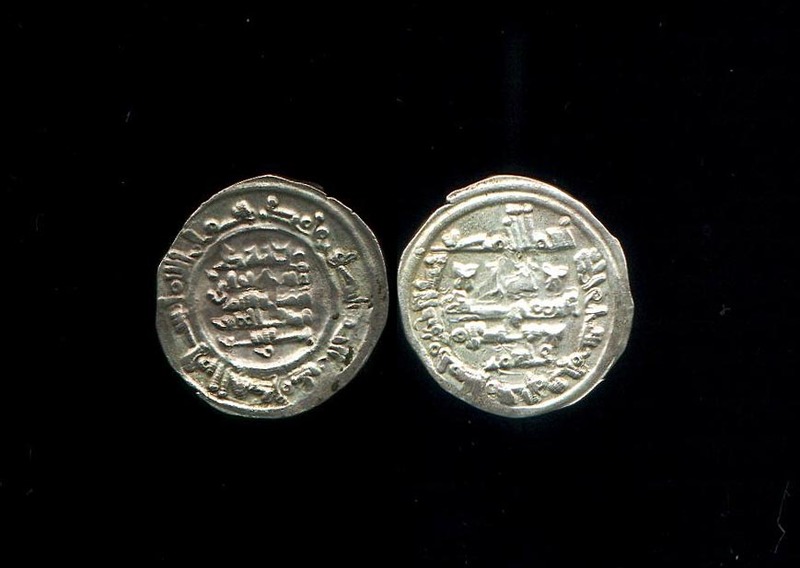 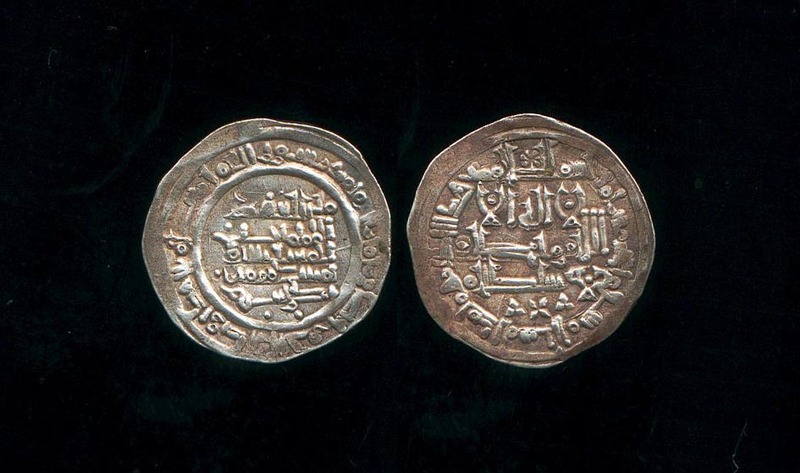 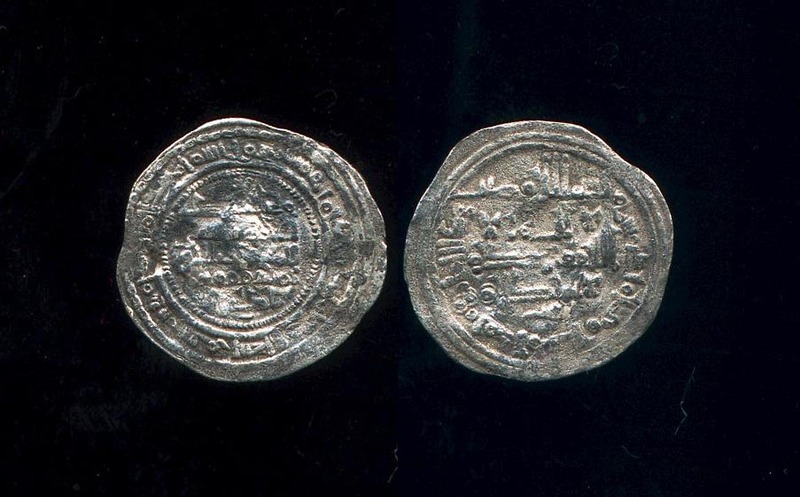 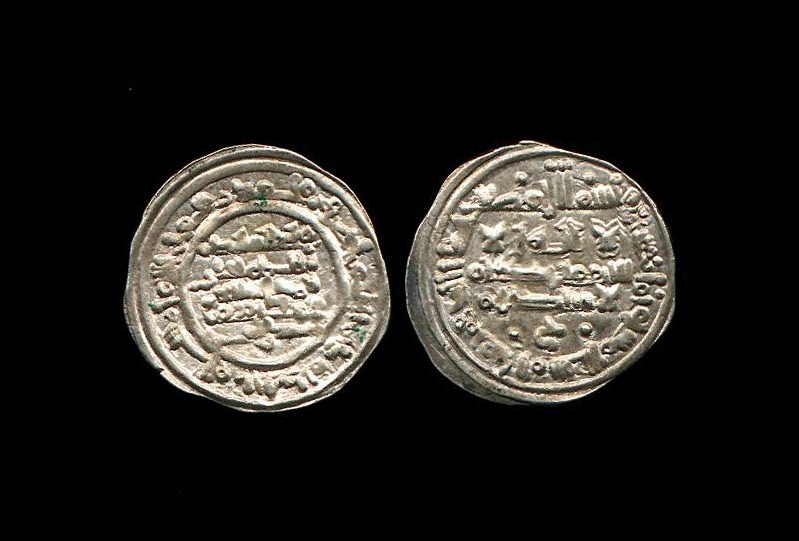 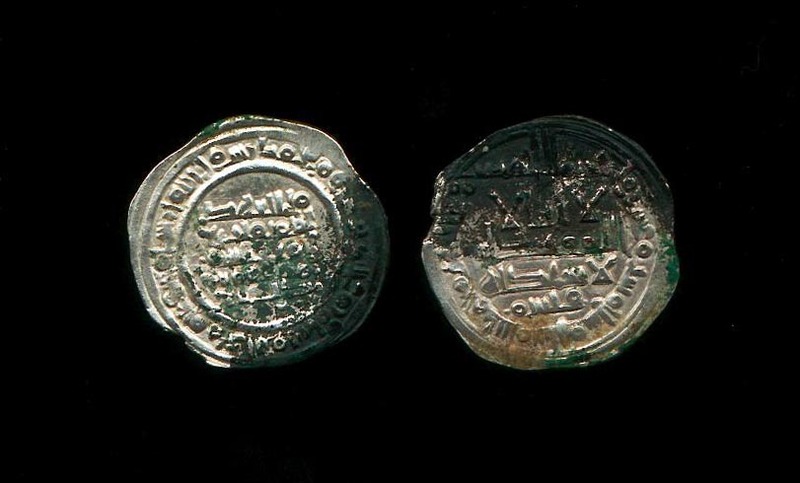 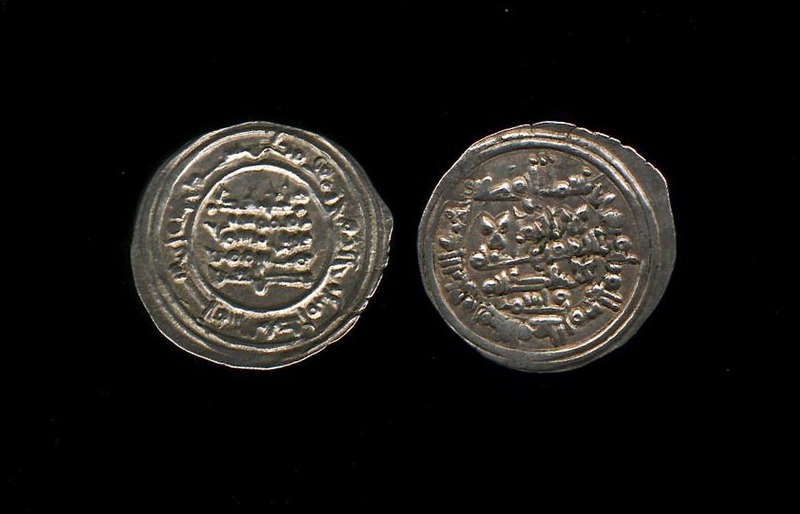 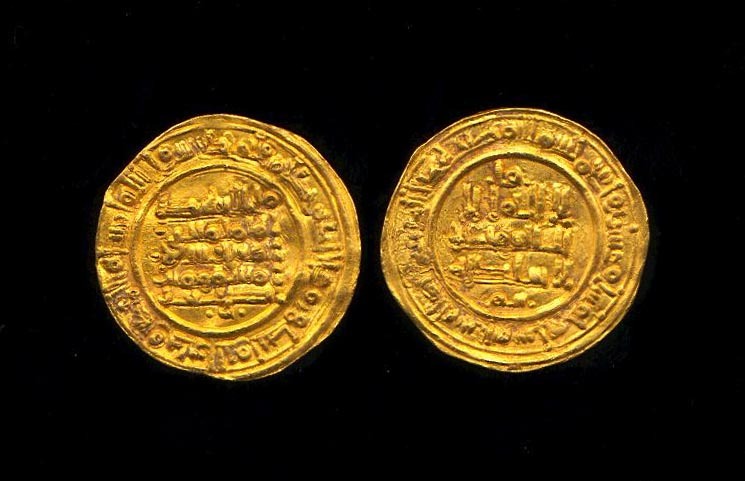 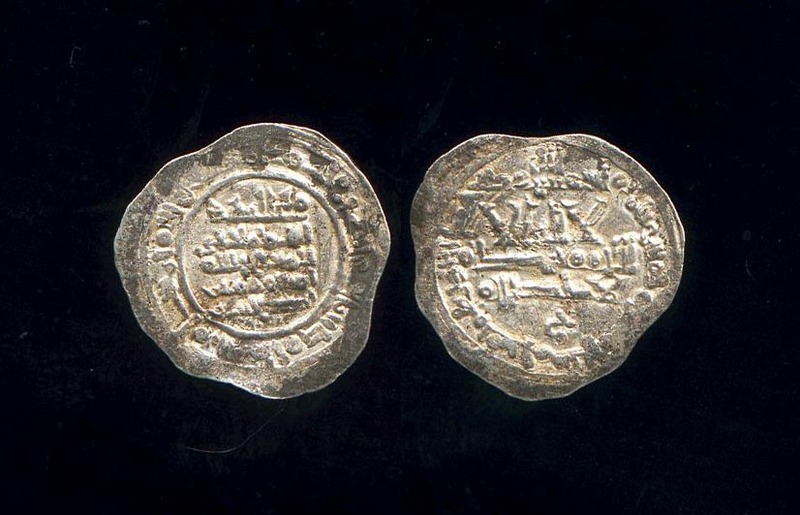 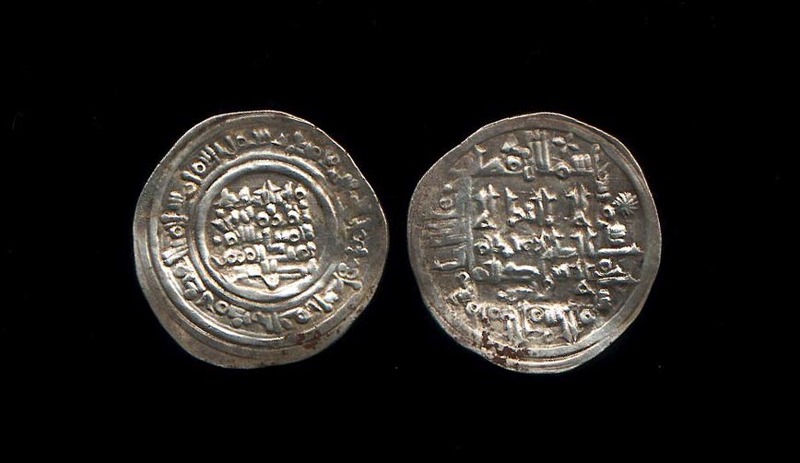 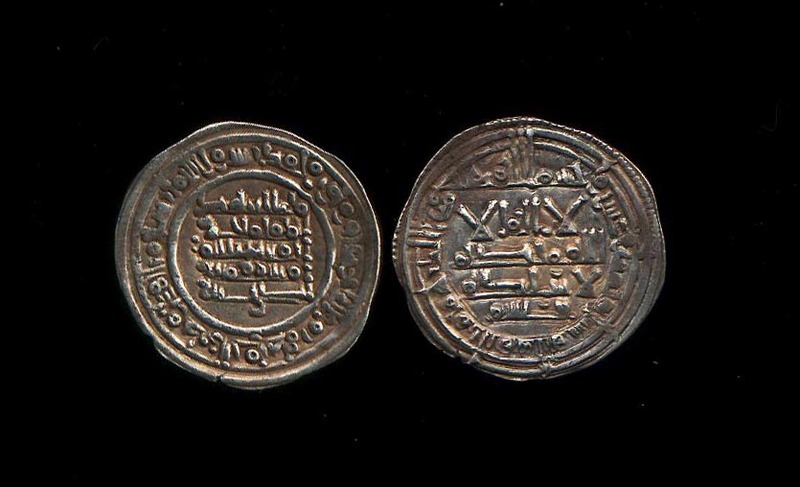 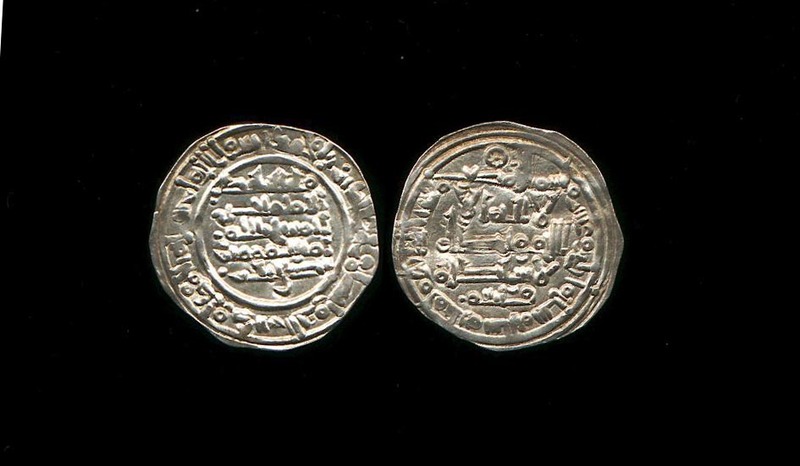 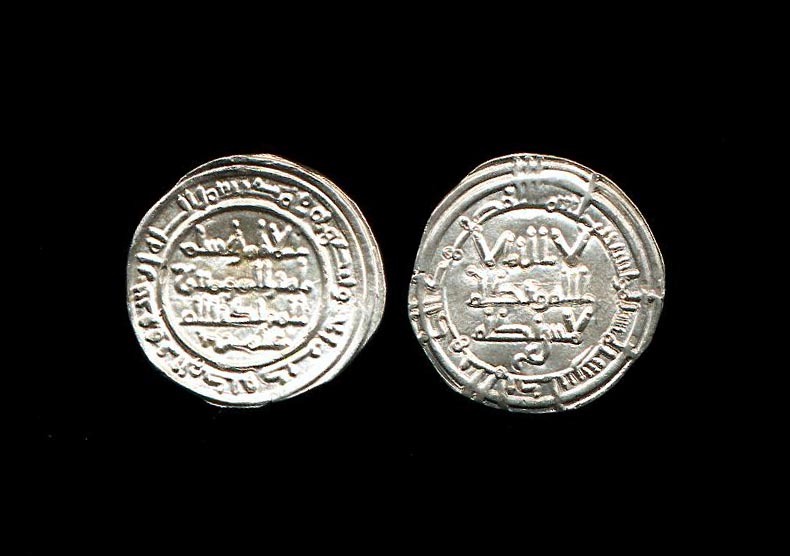 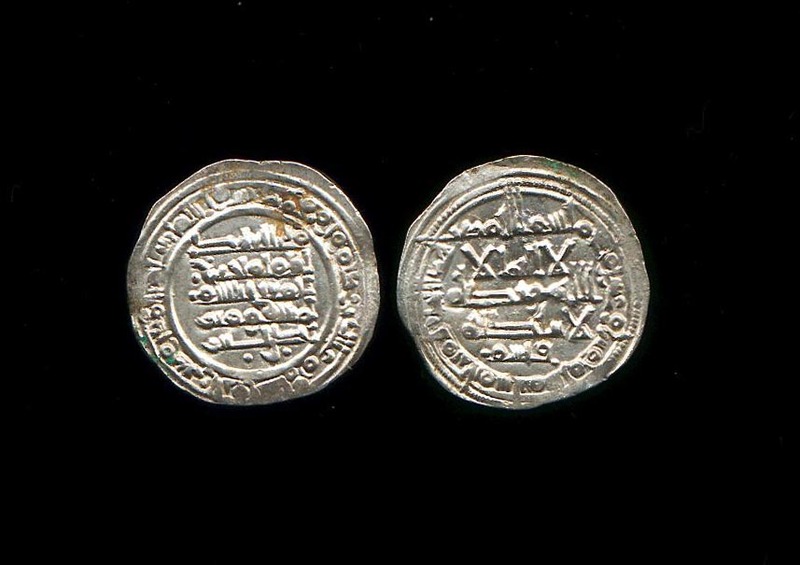 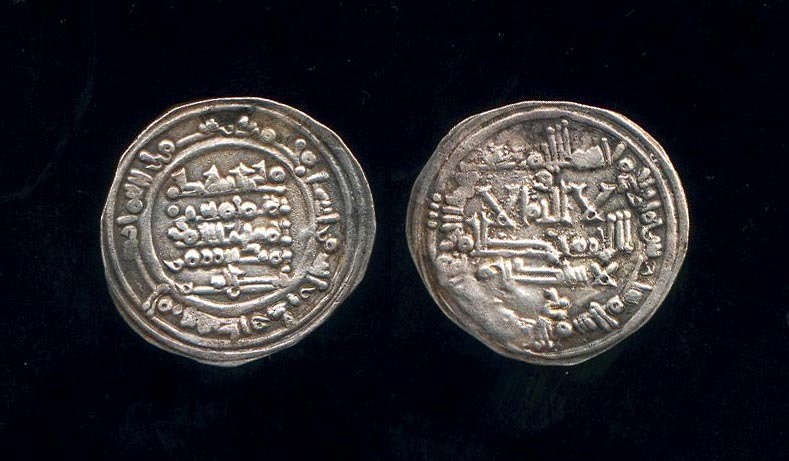 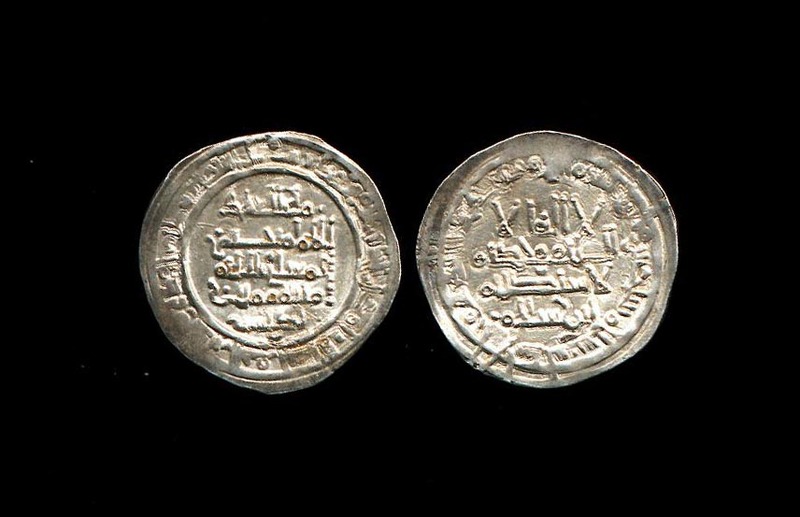 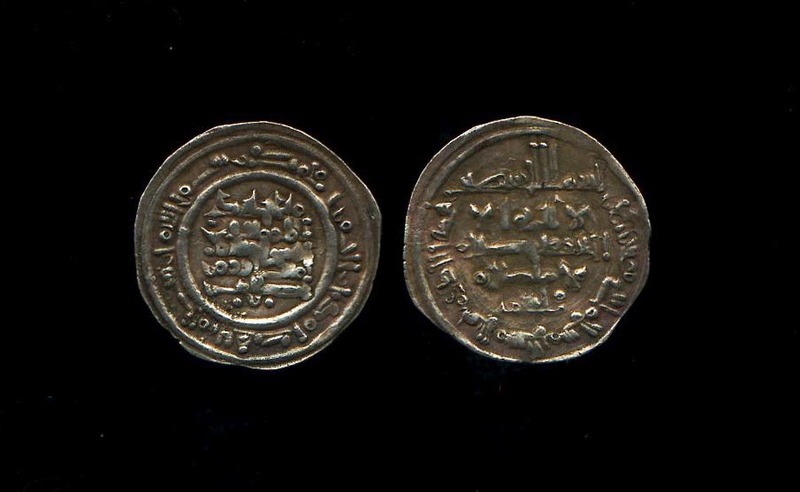 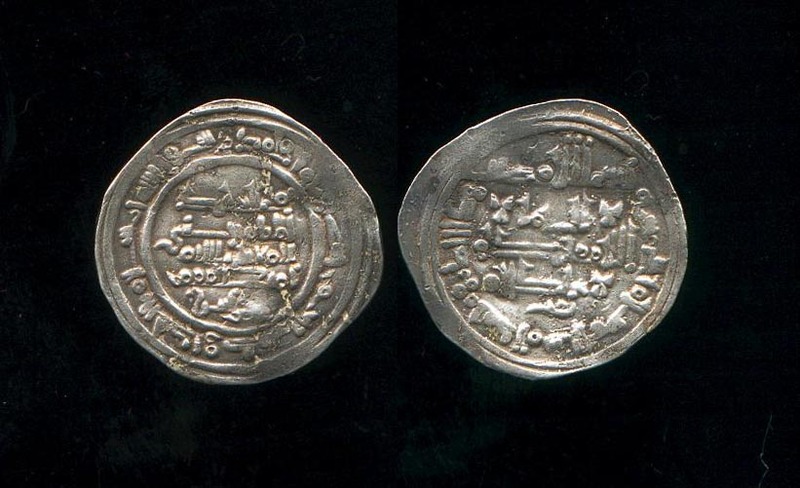 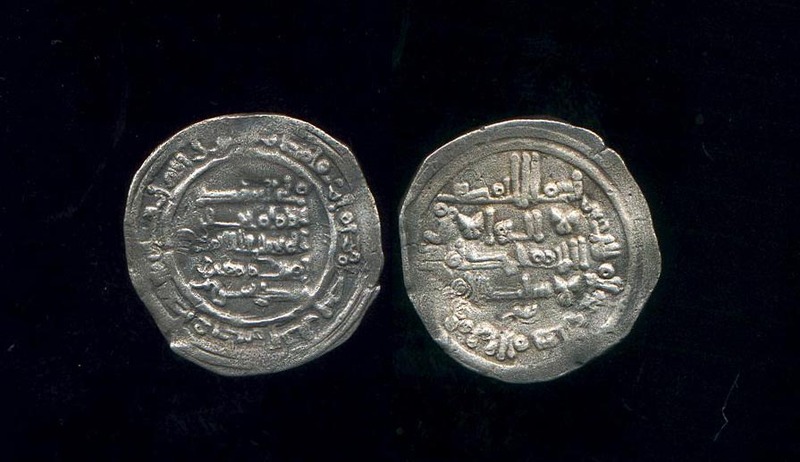 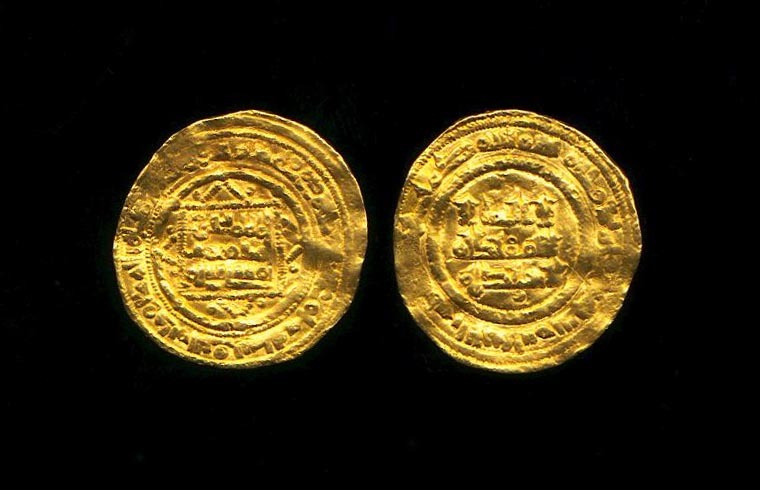 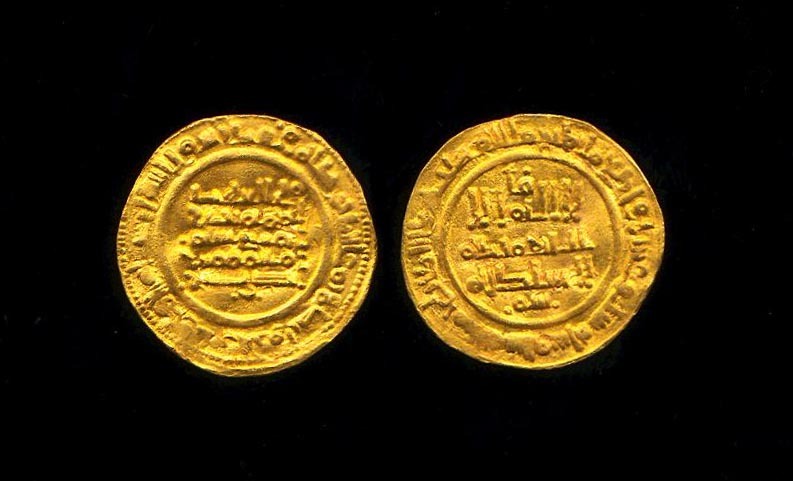 The following coins with the mint al-Andalus have been struck during the brief occupation of Cordoba by Yahya ( see above the dinar of the same date and mint). 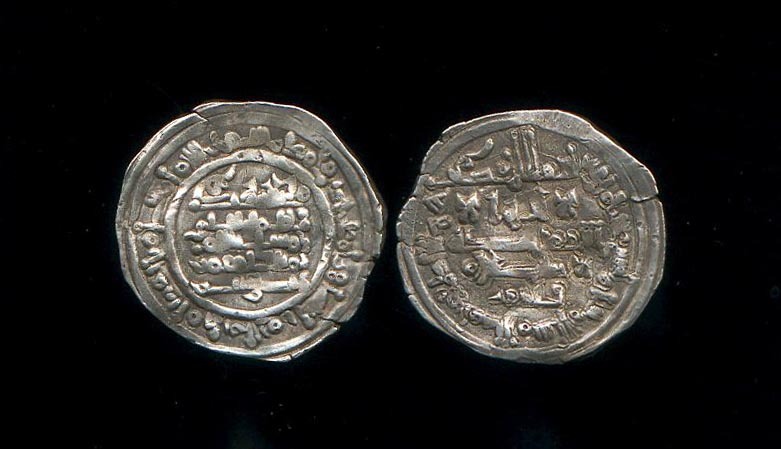 with name Ibn Salam on IA. 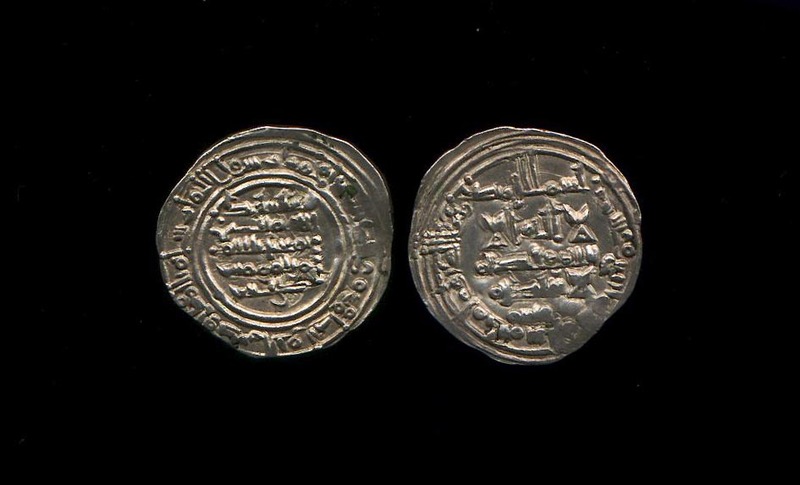 This coin is similar to Dinar in Prieto Supplement 49 dated 417H. 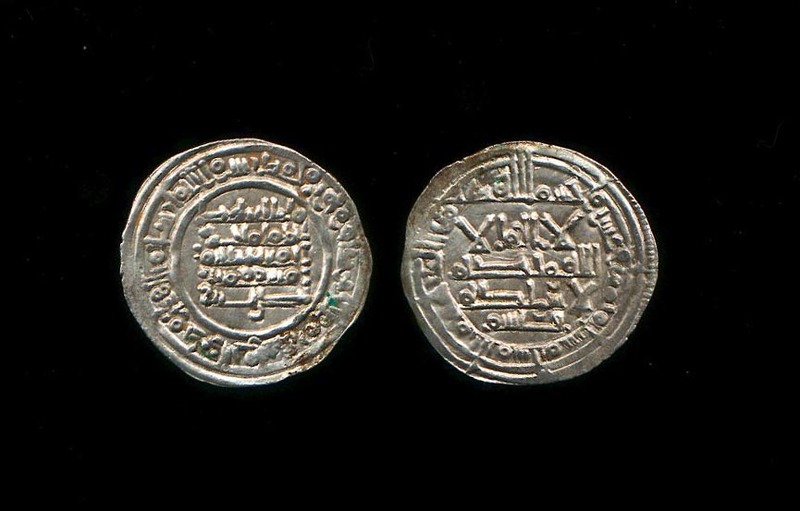 This coin has 'Amir below IIA at a date which is historically imposible as the coins with the name of Al-Mansur ibn Abi 'Amir end on 392H. 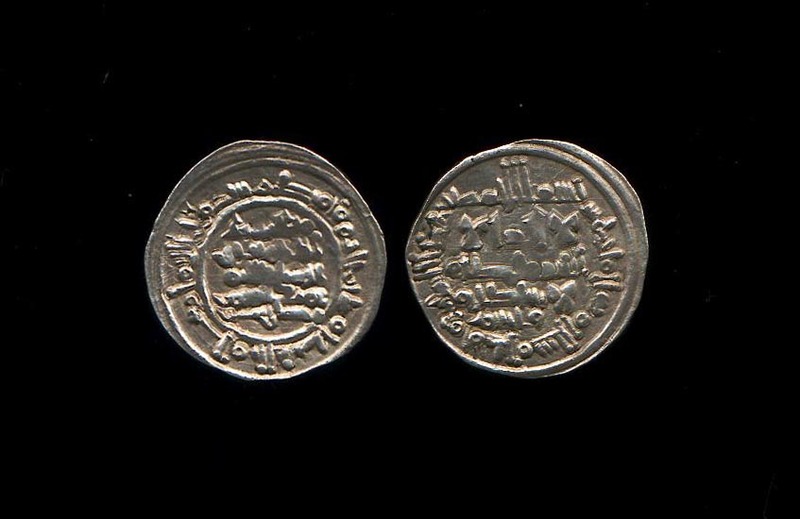 It is also stylistically not a coin of that date. 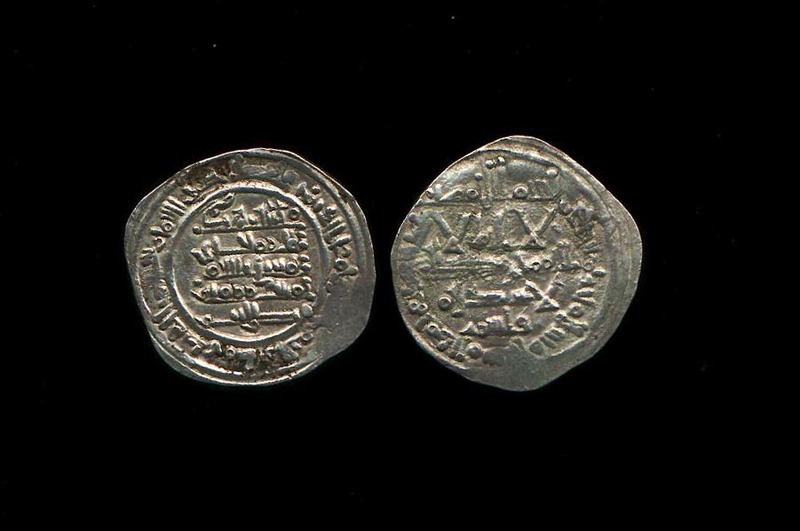 It was found with a small hoard of Hammudid coins. 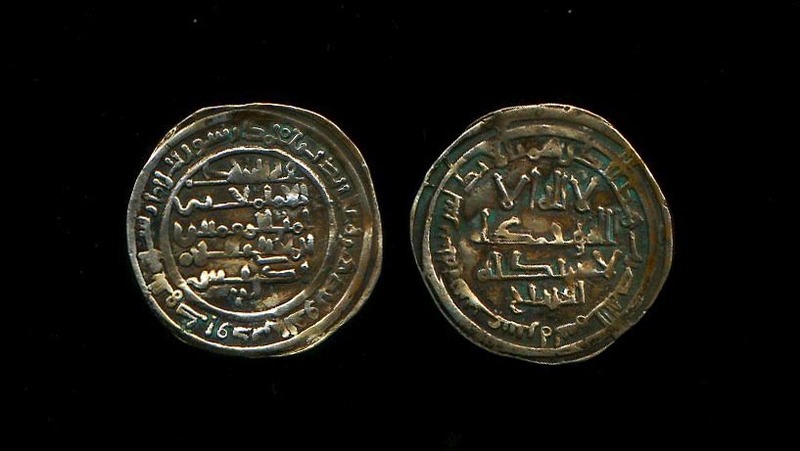 It is in all probability a Taifa imitation of a Caliphate dirham.